It's safe to say that any of the soldiers who fought in the American Civil war are long gone. Or at least, they are long gone from this world, but who's to say that they're gone altogether? Ghost stories of the Civil War certainly abound and it's no wonder, because they're equal parts creepy and fascinating - yet somehow, we still don't know them all. We all know about the Battle of Gettysburg, but what we may not know is that the soldiers who lost their lives there continue to aimlessly roam the field to this day. Or that there are ghost soldiers directing tourists. 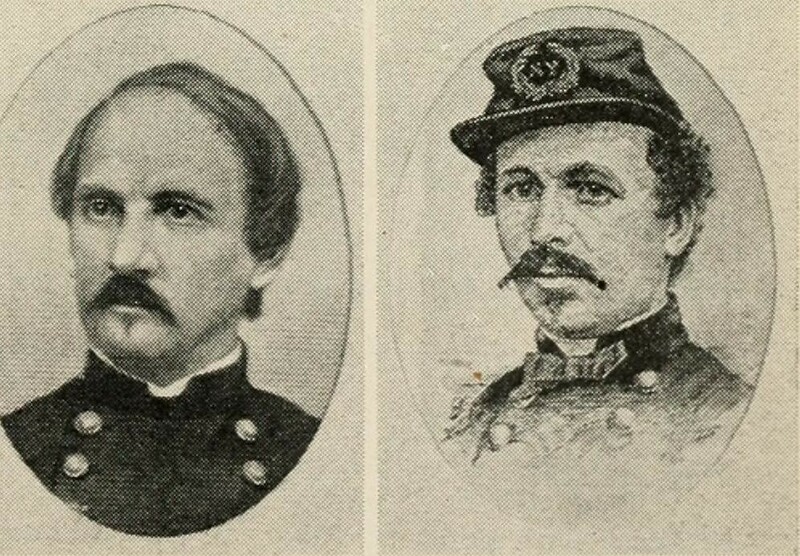 The eldest of John Brown's raiders of Harper's Ferry, Dangerfield Newby was the first person to die in the raid, which took place just before the Civil War. Newby was struck in the throat by a six-inch spike, fired by a man protecting the Ferry, and was subsequently killed. Newby was then mutilated by the people and left to be eaten by hogs in an alley. Newby's apparition is said to haunt Harper's Ferry, and can be seen aimlessly wandering the town's streets. The apparition is noted for having a large gash in the throat, where Newby was struck by the spike and also known for wearing slouched hat and baggy trousers. Perhaps the most notoriously haunted battlefield of the American Civil War is Gettysburg, and there is certainly no shortage of ghost stories surrounding the bloodiest battle ever fought on American soil. Sitting on the location of the battlefield of the second day of Gettysburg itself is an ominous heap of craggy rocks better known to the public as ﻿﻿the Devil's Den﻿﻿. Many tourists have claimed to see the apparition of a bare-footed man wearing a floppy hat and bright shirt, which fits the description of a group of Texans who participated in the Battle of Gettysburg. Tourists claim the apparition says to them "What you're looking for is over there," before vanishing into thin air. The ghost of former president of the United States and noted emancipator Abraham Lincoln has been in numerous locations since his assassination in 1864, namely in the White House. Witnesses to Lincoln's apparition have included the likes of First Lady Grace Coolidge, wife of former president Calvin Coolidge, who reported seeing Lincoln stare out from the Oval Office overlooking the Potomac River. First Lady Eleanor Roosevelt and Queen Wilhelmina, among others, both claimed to have encountered Lincoln's apparition within the confines of the Lincoln Bedroom, which formerly served as his office. While the Civil War is known for ghost stories from well-known battles like Gettysburg and Antietam, a look into the lesser-known battles reveals that they are every bit as macabre. The Battle of Kolb Farm took place in 1864 near Marietta, GA, and saw more than 1,000 Confederate soldiers lose their lives in battle. While definitely not harmful or violent ghosts, many of these soldiers are said to haunt the surrounding area of Kolb Ridge Court. The Tatum family, who lives there, believes that one of these fallen soldiers has taken residence in their home. He is said to tug on the hands and clothing of visitors, and to move objects around the house randomly.